For day three of The Little Betty top blog tour, Meghan from Once upon a notion and Leentje from Vanleentje are sharing their creations. You can buy my pattern HERE and receive a $1 discount by using the code: BETTYTOUR1 at checkout. 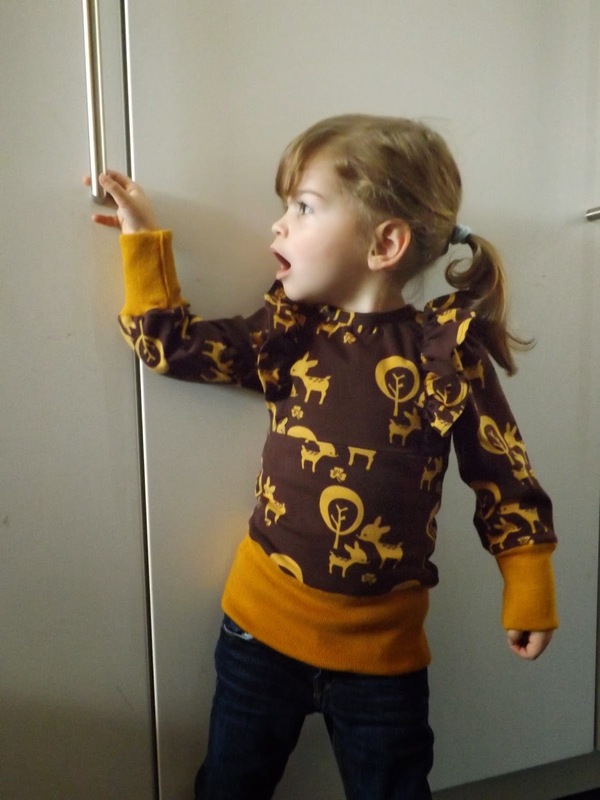 Meghan from Once upon a notion blogs from the US and sews for her son and daughter. Meghan recently sewed up this gorgeous outfit for Frances Suzanne's ongoing series, Flip this pattern. Meghan is sharing the second top she made with my pattern...you can see it here. Leentje blogs from Belgium at Vanleentje. Her blog is in Dutch but can be easily translated by using the translate icon at the top of her blog. She makes gorgeous clothes for her kids. Check out these lovely pants she made her son. And I just love her Little Betty!! Such great fabric!! Head over to Vanleentje to see more. Thanks so much Meghan and Leentje. I love both your tops!! Pop back tomorrow to see Amy from Sews and bows and Griet from Emma en Mona. Thanks for the sweet intro Suz!! I had so much fun making this top! 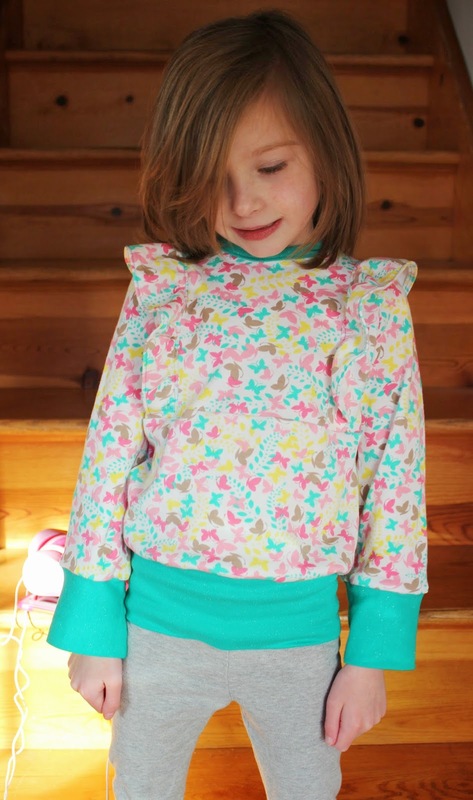 Thanks Suz, I also really enjoyed making this top, and my girl loves it! Great top, i like it. Wow these are so darned cute! I need to have a little girl to sew for!